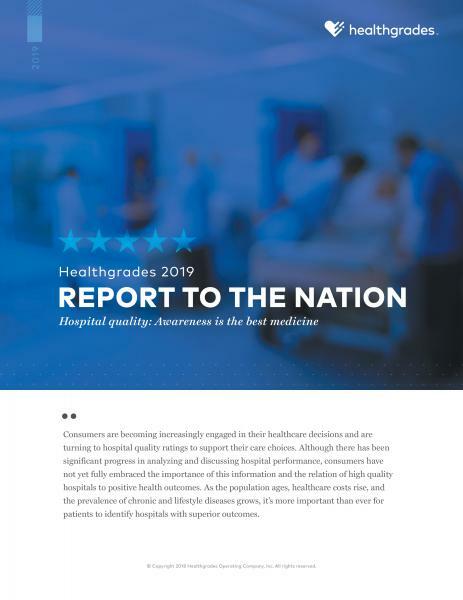 For 20 years, Healthgrades has reviewed hospital quality and released an annual analysis of performance across a number of common conditions and procedures, assigning a rating of one to five stars for each. 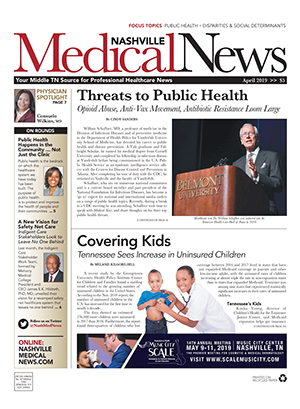 Last month, the online healthcare information resource released the 2019 Report to the Nation. As the nation continues the move to value-based care, consumers have become more engaged in their health and healthcare. With higher deductibles and co-pays, more consumers have begun to think of healthcare in a similar fashion to other major purchases, looking online for information on cost and quality. When it comes to healthcare, however, the stakes are considerably higher than selecting a new car or refrigerator. In looking at the variation in clinical quality and outcomes across the nation, the 2019 Healthgrades analysis found patients treated at a hospital with a five-star rating, as compared to a hospital with a one-star rating, in a specific condition or procedure have a significantly lower risk of death and of experiencing complications during the inpatient stay. To create the latest report, Healthgrades analysts looked at Medicare Provider Analysis and Review (MedPAR) data from 2015 through 2017, which provides information on Medicare beneficiaries who access inpatient services. From the data dive, the report found: "From 2015 through 2017, if all hospitals as a group performed similarly to hospitals receiving 5-stars as a group, on average 222,210 lives could potentially have been saved and 157,210 complications could potentially have been avoided." Healthgrades Chief Medical Officer Brad Bowman, MD, noted, "Consumers have many choices for healthcare, but most important is understanding that there is a significant variation in care from hospital to hospital and doctor to doctor. In fact, hospitals within close proximity to each other can have significant differences in complication and mortality rates for the same condition or procedure. The analysis of hospital quality is intended to spotlight the importance of doing your homework before selecting your care. It could be a matter of life or death." At the same time Healthgrades released the 2019 Report to the Nation, the organization also released it's second annual National Health Index. Archelle Georgiou, MD, a senior advisor to Healthgrades, said the index looks at "who is getting healthcare right." 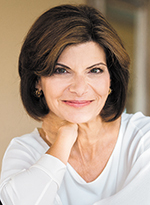 A former CMO of UnitedHealthcare and author of the book "Healthcare Choices," Georgiou noted, "We recognize that healthcare is broader than just the quality of the hospitals." She continued, "Health and healthcare is comprised of many different factors. To understand whether a city is getting healthcare right is complex, which is why Healthgrades compiled numerous industry data sets to help paint a more complete picture of healthcare at the local level in cities across the country." Healthgrades analysts turned to four key sources to evaluate health and healthcare in 130 metropolitan areas across the country. Data was pulled from the Behavioral Risk Factor Surveillance System (BRFSS) 2016 survey at the MSA level, provider specialty information and patient experience survey scores from Healthgrades.com, 2017 population estimates from the U.S. Census Bureau, and the 2019 hospital quality rankings from Healthgrades. Georgiou said the team looked at 14 factors spread across four major categories. The big categories, she said, were: "Do people have access to care? Is the population healthy? Do they have high quality hospitals? And do they have high quality specialists?" She said in addition to having some form of insurance coverage, analysts also considered the percentage of population that didn't feel restricted from seeking care due to cost, including high deductibles and co-pays. The group also looked at preventive and behavioral measures including the percentage of people ages 50-75 who had a colonoscopy in the past 10 years, percentage of women 40 and older who had a mammogram within the last two years, percentage who had visited a dentist in the past 12 months, had a normal BMI, reported physical activity within the past month, and the percentage of residents who reported having at least one person they identified as their personal healthcare provider. Hospital quality measures came from the latest Healthgrades rankings; and the team looked at the number of specialists per capita across multiple disciplines, as well as patient satisfaction with those specialists. "In order to have a healthy community, it's all these different factors," Georgiou said of the ingredients required to enable healthiness. Rochester, Minn., Burlington, Vt., and Charleston, S.C., led the way this year, she noted. San Francisco, which came in at 17th on the list, was identified as having the healthiest residents. Worchester, Mass., with an overall rank of 55, had the highest access to healthcare. Berlin, N.H., which ranked last at 130, struggles with population health and availability of high quality hospitals and specialists. Yet, Georgiou noted, the area does have a high percentage of the population insured and an above average rate of those who can access care affordably. She pointed out every metropolitan area has different strengths and challenges to address. Some cities might need to focus on community programming or public works to create more opportunities for physical activity. Others might have to look at creative ways to entice more specialists to the area. The index, she noted, provides a starting point for those discussions and a snapshot for patients making decisions about their care. "I think the index is a step forward in our whole mentality around being consumer-focused. It looks at the full continuum from access and insurance all the way through to your personal behaviors," Georgiou concluded. "The National Health Index is designed to help consumers understand the health of their community, to empower them to navigate their care journey with confidence and to help them access the right care in their market." 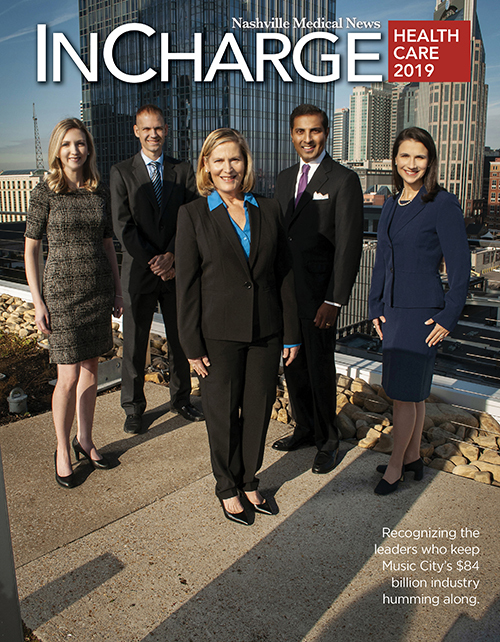 Of 130 metropolitan areas reviewed, Nashville came in at 59. Archelle Georgiou, MD, a senior advisor to Healthgrades, said the city ranked higher than average in the number of specialists and way above average in the perceived quality of those specialists. She added the city ranked above average in the percentage of insured and with a normal BMI. "But here's where there are opportunities - preventive care, having a relationship with a primary care provider, and being below average in the number of hospitals who perform well in those 32 conditions," she continued. Georgiou was quick to note the Nashville area certainly has hospitals that rank highly in specific conditions or procedures. "Saint Thomas Midtown is in the top 10 percent of hospitals in the country for cardiology. Saint Thomas Hospital for Specialty Surgery and TriStar Southern Hills Medical Center are both in the top 10 (percent) for spine surgeries," she said. In fact, most of the area's major hospitals have five-star ratings in some procedures. "There's good care going on here, but when you compare it to the population and how other cities' hospitals are performing, they will have more hospitals performing above average in more conditions ... so it's like grading on a curve," Georgiou noted. "This is a wonderful start to looking at where are your biggest opportunities and where to invest," she continued of using the data as a jumping off point for improvement.